Hannaneh Hojaiji, Prof. Emaminejad’s PhD student, received special recognition in the Honorable Mention List of the NAS. Hannaneh Hojaiji, Prof. Emaminejad’s PhD student, received special recognition in the Honorable Mention List of the National Academies of Sciences, Engineering and Medicine. 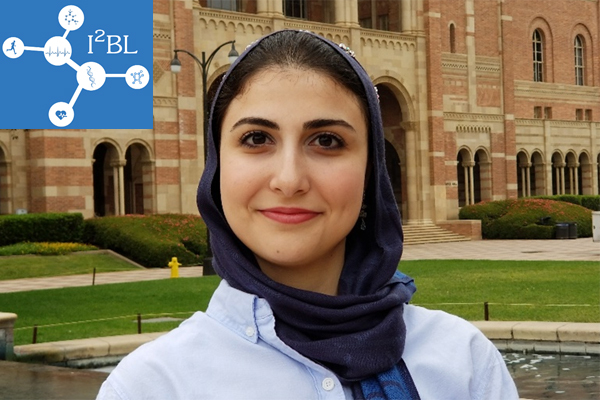 Hannaneh Hojaiji received special recognition in the Honorable Mention List of the National Academies of Sciences, Engineering and Medicine (Ford Foundation). This award is made to individuals, who have demonstrated superior academic achievement, are committed to a career in teaching and research, show promise of future achievement as scholars, and are well prepared to use diversity as a resource for enriching the education of all students.